One of Florence’s most notable citizens, Dante Alighieri, was exiled from the city in the 1300s. Unlike Dante, you’ll be welcomed to Florence with open arms! Upon your arrival, you’ll be greeted by your one-of-a-kind Monograms Local Host®, someone who is there for you throughout your stay to answer questions, help arrange your activities, offer suggestions, and ensure your Florence trip runs smoothly. Florence has so much to offer—historical landmarks, world-class museums, spectacular cuisine and wine, an abundance of works of art, and much more—that we know it can be overwhelming. That's why we've arranged the services of a Local Host to assist you. 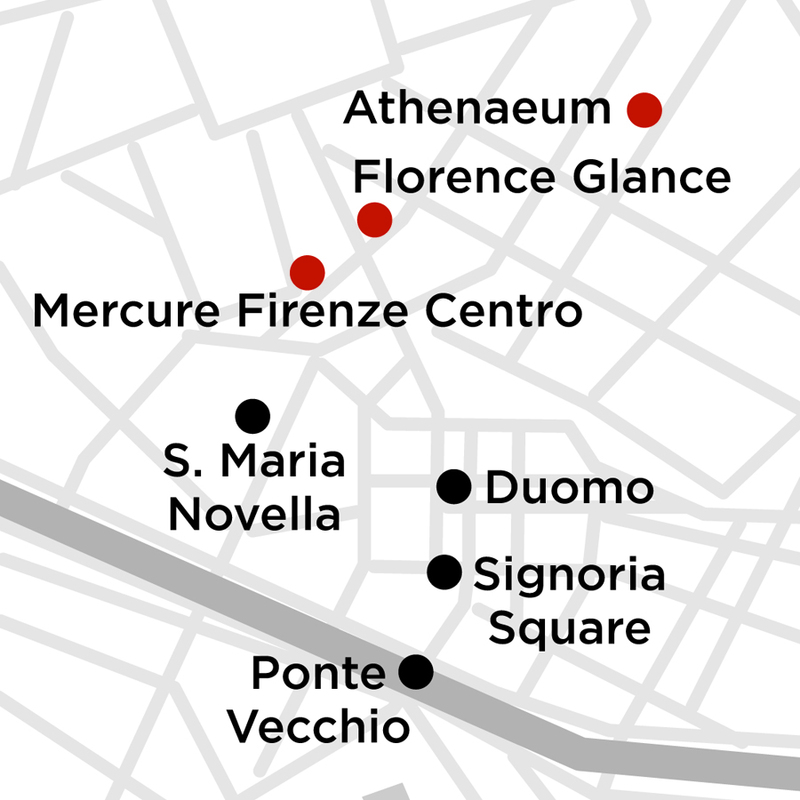 Plus, on this Florence trip, we’ve also arranged your hotel reservations, daily breakfast, and sightseeing. 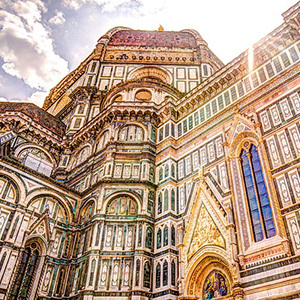 Your Italy trip begins when you arrive in Florence. Your Local Host will greet you with a friendly smile and a set of materials to help familiarize you with the city. You can begin exploring immediately and the next morning, after included breakfast, we’ll pick you up at your hotel for guided sightseeing of the must-see attractions. We’ll take you to the Academy of Fine Arts to see Michelangelo's David. You’ll hear inside stories as we take you for a walk through the city center to see Cathedral Square; sculpture-studded Piazza della Signoria, the center of the city's political life since the 14th century; and Santa Croce Square. And never fear… your inside visit includes VIP access, which means you get to skip the line! After all, why waste time waiting in line like all the other tourists when you can be up close and personal with the treasures inside the Academy of Fine Arts? You’ll also have time to explore on your own. You may want to take a guided tour of the Uffizi Gallery, one of the world’s most famous art museums with works by da Vinci, Botticelli, and Michelangelo. Perhaps shop at the famous designer houses or browse the shops on the medieval Ponte Vecchio, the arched, stone merchant bridge that has housed stores since the 13th century. You may decide to take an excursion to Pisa to see the Leaning Tower; explore the secret passages of Palazzo Vecchio, constructed in 1299; or take a walking tour to visit some of the sights featured in Dan Brown's book Inferno. Your Local Host will have plenty of suggestions and can help arrange the activities you desire while vacationing in Florence. Florence is a city with a deep history and artistic heritage. It offers everything from mouth-watering cuisine to exciting museums and beautiful churches. We want to make it easy for you to travel here, which is why we've arranged your hotel reservations, guides, sightseeing, and breakfast. All you have to do is grab your camera and get ready for an exciting adventure. Add the comfort of knowing you'll have someone there throughout your stay, and you've got the perfect Florence vacation!